Bigfoot Ballyhoo was created late in 2009 by fiction writer Linda Newton-Perry. It chronicled her belief in the existence of Bigfoot, trying to get people to "keep talking Bigfoot." Over the course of the last year (2010), some of the claims being made on the site came under scrutiny. 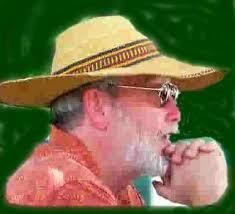 Perry's has written several children's fiction books, where the main topic surrounds Bigfoot. In 2010, however she came out with an adult fiction book based on Bigfoot. 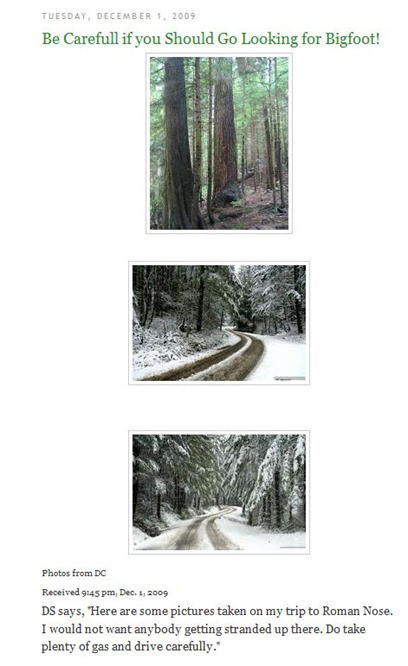 One of the first claims made on the site was the "Ballyhoo" being partly responsible for Oregon, to stop suspending driver's licenses of people whom report Bigfoot sightings. This claim sounded outlandish on principle as no government has officially recognized the creature known as Bigfoot to exist. Only laws protecting it, in the event it does. Letter received from Paulides debunking Perry's bogus claim. 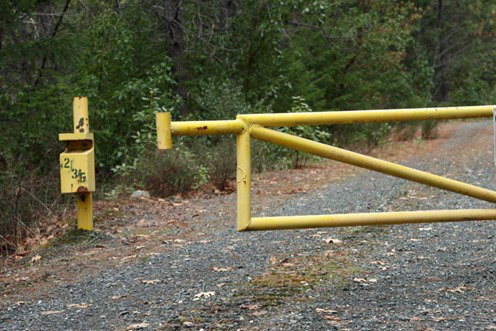 Dave Paulides of North America Bigfoot Search, was the first to file a Freedom of Information Act form upon the state of Oregon Department of Motor Vehicles and received a letter from the assistant public relations director. Allegedly the senior member of the ESP team was Dale Saxton, who "tragically passed away" a few months after she began writing about the team. 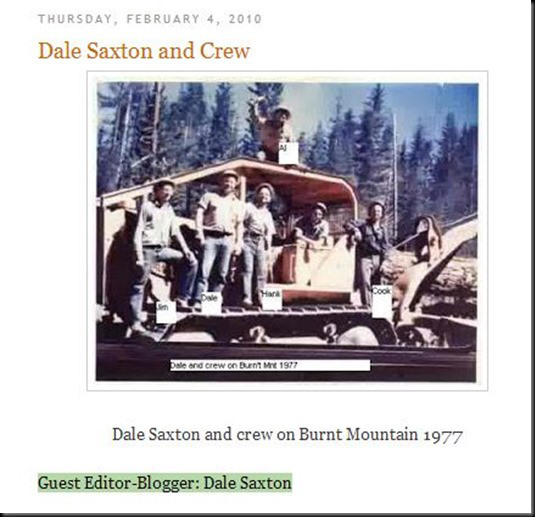 Here we have Linda Newton-Perry’s ESP Team, the late “Dale Saxton” on her “tribute page” to him posting a picture of Dale and the boys, posted on February 4th, 2010, claiming to be from Burnt Mountain Oregon. 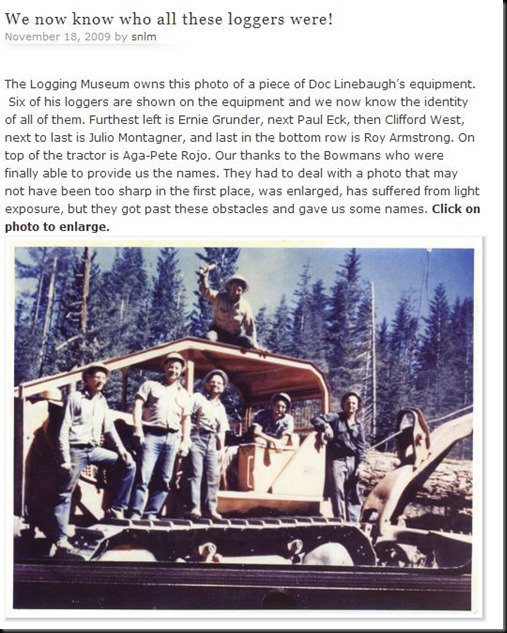 The picture comes from the Sierra Logging Museum, which was posted on November 18th, 2009 and the original link can be found by clicking here, and lists all the names of the loggers pictured, (absent in the names were Saxton, and Parchell) which was coincidentally shot in the Sierra’s, not where Ms. Newton Perry claims. 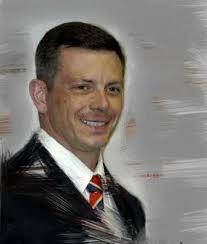 Post about Dale Saxton's trip to Roman Nose. Is anything real on Ballyhoo? More blatantly lifted and misrepresented photos. It is also note in the LNP posts the copyright was blurred out. 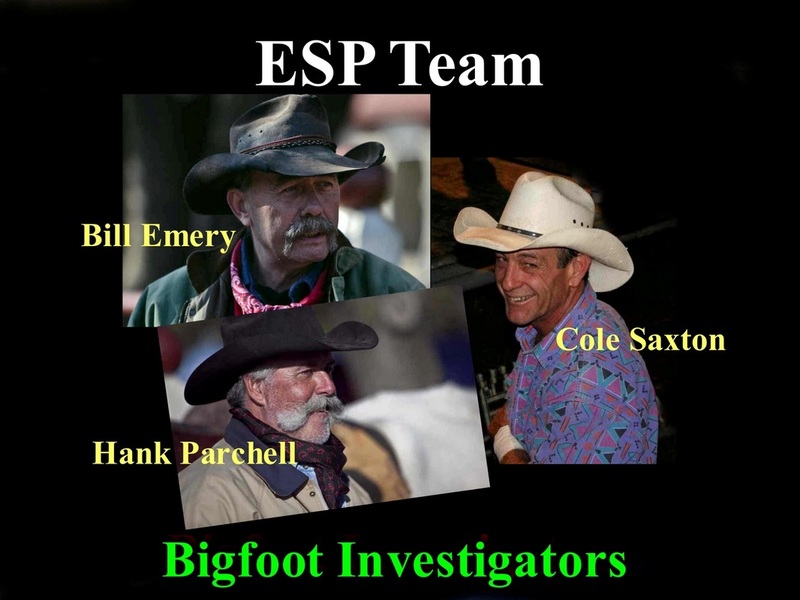 LNP's interlude with a set of Bigfoot Researchers named Dale Saxton, Cole Saxton (Dale's son), Bill Emery and Hank Parchell began shortly after she started her blog. One of Linda's first ESP team graphics. She would later regret using those pictures. On August 3rd, 2010, Perry announced to the world that Bill Emery (now leading the team), had obtained several trail cam photos of a Bigfoot, and over the period of the next three months, Perry and the alleged team, held us at bay. Finally the first picture surfaced. 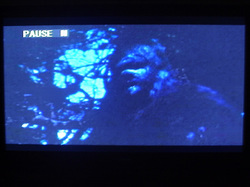 The screen cap of 1976's, "The Legend of Sasquatch." As it turns out, thanks to one of Autumn Williams' readers they quickly surmised that this was an altered photo of the creature from the 1977 copyrighted film, "The Legend of Sasquatch." Coincidentally the movie had a character in it named, "Hank Parshall." The gate Linda provides us is clearly marked Sru Lake with an address. The same gate and address, yet no Sru Lake on the rails. She got caught red-handed posting a picture of a track, claiming to be at Sru Lake, which turned out belonged to Florida researcher Tim Fasano. On left, her story of a track find at Sru Lake. On right, Tim Fasano's track find in Florida. On January 9th, 2011 we were tipped of from an anonymous source that they had found "Bill Emery's" pictures on a professional photographer's website. We followed the link to discover the following pictures. 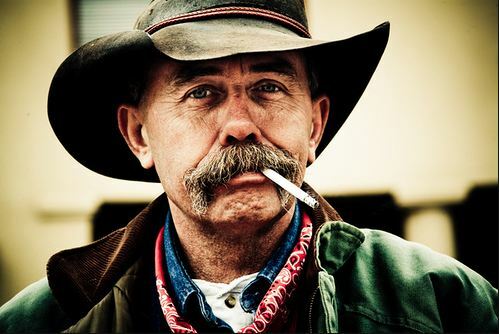 Pic found on the photographer's site was the same dude as "Bill Emery." 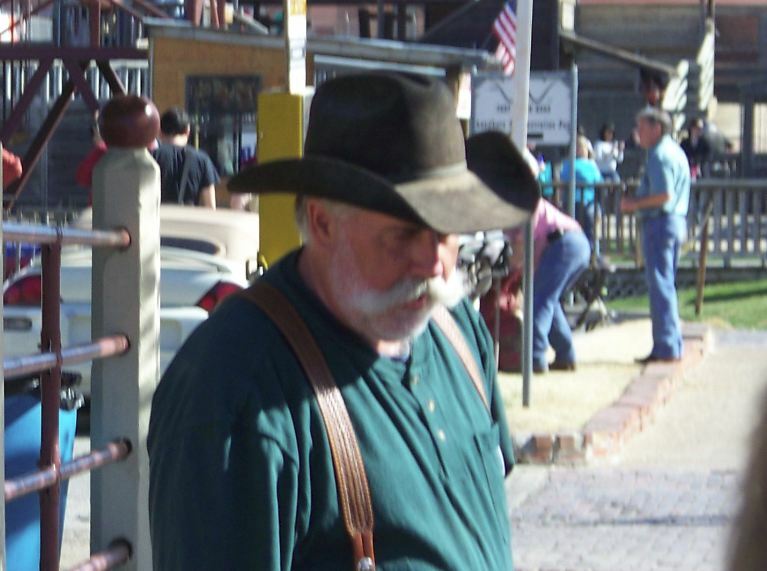 We corresponded with the photographer and learned the background behind the photos and learned that "Bill Emery" was actually somewhat of a local celebrity working at the Fort Worth Stockyards, a tourist attraction to the Dallas/Fort Worth area. 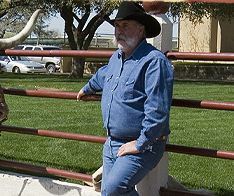 Picture from the Ft. Worth Exchange website. While on the site, to our surprise we came across to our surprise pictures of "Hank Parchell"
On January 29th, 2011 at the request of Squatchdetective.com, Texla Cryptozoological Research traveled to the stockyards to see if they could locate the persons in the photographs allegedly of "Bill Emery" and "Hank Parchell." Pictures LNP was using for the ESP team. The researcher, using the pictures, identified "Hank Parchell" as one Gene Tilley, and soon met up with Tilley. "I'm reporting what I could find out this morning at the Stock Yards. 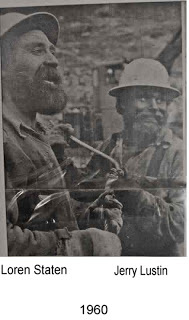 I took a copy of the photo's of the alledged Bill Emory and Hank Parchell and began asking people who obviously worked there ( folks dressed up in the old western outfits) to see if they recognized them and if they could give a name for the gentlemen. Several people gave the name of Gene Tilley for the Hank Parchell photo and Vince for the Emory photo. 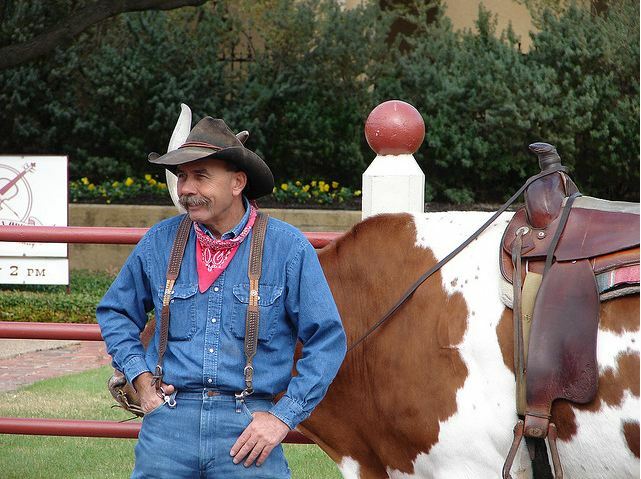 I was able to locate Gene operating his side street show of his steer which is named 'Big Jake,' not Clyde. He charges a few bucks for people to get their picture taken as they sit on Big Jake. I showed the Emory photo to him and he identified it as Vince Chasteen who works for him ..."
Candid of Gene Tilley while the investigator was on site. 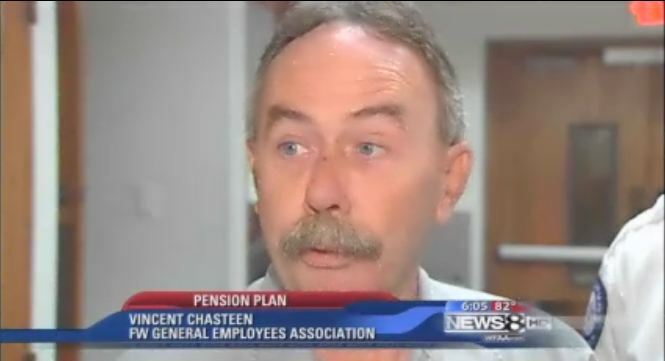 We also located a video of Vince being interviewed at his full time job in Fort Worth, again notice the scar on the nose. We don't ever expect LNP to act on her promise. For posting consistently, reports that fail any and all corroborative efforts and posting a series of hoaxed pictures, defending them, and maintaining one is still authentic, posting lies and defamatory remarks about critics, the Bigfoot Ballyhoo has earned it's entry into the Hall of Shame. Now we ask LNP to honor her promise as the ESP Team pictures are a hoax! How can something exist...when the team itself DOES NOT exist? UPDATE # 1 "The Miller Document"
Yes folks, there seems to be some buzz about the so called “Miller Document.” This document alleges that H.A. Miller had some sort of experience in examining Sasquatch bodies both in Texas and California. 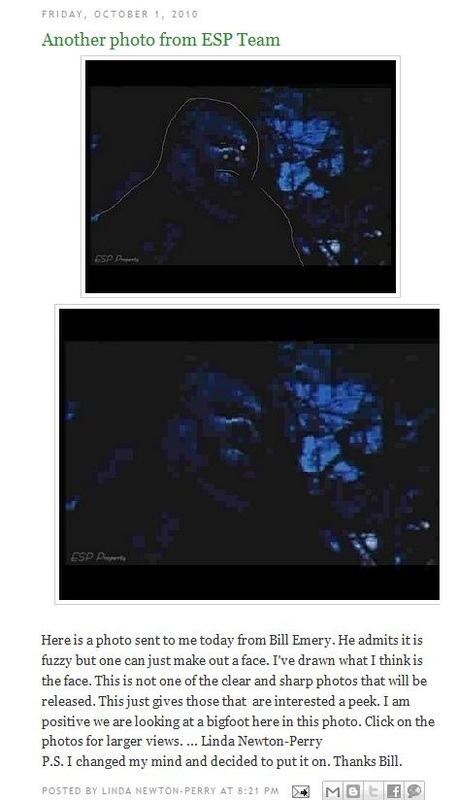 First lets consider the source of the “document.” It comes from the Bigfoot Ballyhoo blog. Yep Linda Newton Perry and yet another female “informant” with no last name and a bunch of made up internet bloggers which give their “comments” saying how dear Sophia is telling the truth. Again all of these are backed or reported by usually woman giving only their first names, and never once has a video or voice recording of any of these folks been made. So far this is what we have found out…and believe me we are paying attention to her again. The photo used is genuine. H.A. Miller did not graduate Harvard Medical School. We know this because the alumni association commemorates every passed on member. There were two deceased Millers which graduated Harvard Medical School that passed on, but none went by the name H.A. ​None of which fit. What it appears that information between the two has been confused. The Miller that existed in the early 1900’s was a MD (who obtained his MD in Pennsylvania) with a Ph.D, however it appears that the one in the picture was just an M.A. in Forestry. Remember that it’s because of the MD that all this Bigfoot involvement took place.Another interesting note is in the narrative itself. However when it comes to the Medical Degree, it is non-specific. A sign an interrogator looks for in an untruth. Given the information from the Alumni Association Memoriams, there are cracks just in the first few hours of looking at this document. This is nothing new to the information consistently placed on Bigfoot Ballyhoo. Photo showing a graduation pic of an H.A. Miller. HA Miller the MD existed long before the HA Miller the Forester. The only Millers that graduated between 1940 and 1949 are the ones listed above. Either a sock account, or a very naive sympathizer with LNP. There seems to be this constant sympathy for LNP on certain sites, prove to naivety. Rest assure we have seen a consitent and constant pattern. We've attempted in the begining to assist LNP with the matter of the ESP Team. But she blindly defied all logic and defended them as if she has had tea and crumpets as Ms. Sparkles with them. Shortly after exposing the pictures of two main members of the ESP team, Bill Emery and Hank Parchell, Ballyhoo/LNP claimed that our information was false, and then started pasting other pictures in place of the onces she was using. Clearly the new three are not the same as the old three. Similar, but upon close examination, facial features such as ears nostils in some cases eye shape are all different. It looks like LNP has finally thrown in the towel. We sincerely hope its not due to health reasons, but we can't say we are sad to see the nonsense go. More matter of factly, one of the many "Squatchers" I know was quick to point out she knew Buzzy and ate at his former establishment many times. Update # 2 Another team member debunked!!! So we happened to look at the thumnails in the folder on Photo Base, which is where the original Buzzy Franklin picture came from and low and behold we see another familiar face!!! 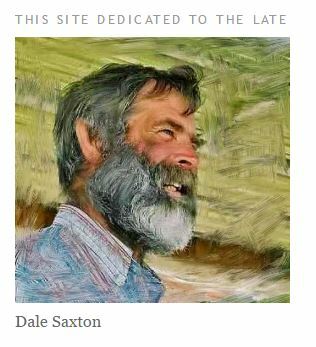 ​ "The Late Dale Saxton." The picture on the right is a screen cap of the dedication of Bigfoot Ballyhoo. The picture on the right is the real picture, posted in 2006 on Photo Base, of a gentleman running charters for salmon fishing on Ilwaco, Wash. In the background you can actually see the 2006 salmon charter schedule!